Rentals - Music Emporium, Inc.
Music Emporium, Inc. offers rentals for a variety of band and orchestral instruments, as well as pro audio and digital pianos. We feature simple pricing, the ability to acrue purchase credit during your rental, and the convenience of auto-charge payments. Please stop by our Altoona location to complete the necessary paperwork and begin the rental program. Please bring a valid photo ID and major credit card when you sign up. The entire process takes an average of 15 minutes and you will be able to take the rental instrument with you when you leave! In addition to monthly rentals, we offer short term (daily and weekly) rentals of digital pianos and sound systems (pro audio equipment) for public and private events, businesses, and non-profits. Read below to find out the benefits and pricing of our rental program. What are you waiting for? Stop by and begin you (or your child's) musical journey today, with instrument rentals from Music Emporium! Renting allows you to experience the joy of learning to play music - without the costs of purchasing a new or used instrument upfront. 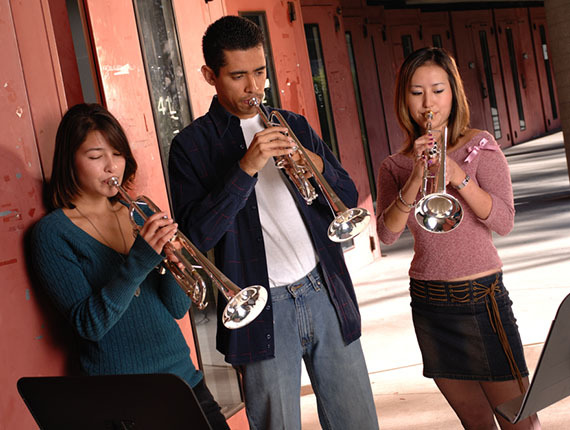 Our monthly rental plans start at just $30 per month for many instruments! Our rental contracts are very flexible - allowing you to rent for a month, a year, or any amount of time you need. Simply return your rental at any time prior to your next payment due date to end the rental contract. All of our monthly rentals are charged to your credit or debit card automatically, through our secure automated payment system. No need to mail in a check or remember due dates - and no late fees! 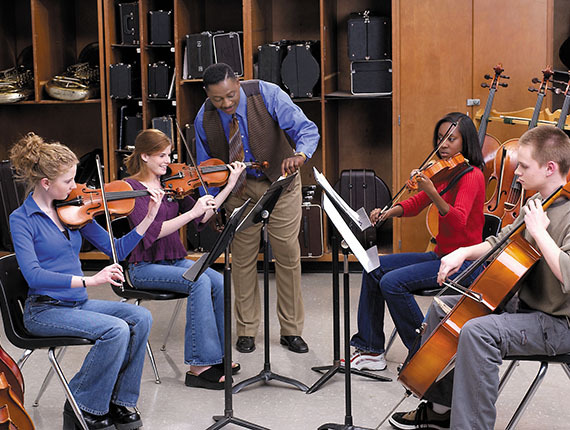 Music Emporium's rental inventory includes a variety of woodwind, brasswind, percussion, and stringed instruments. 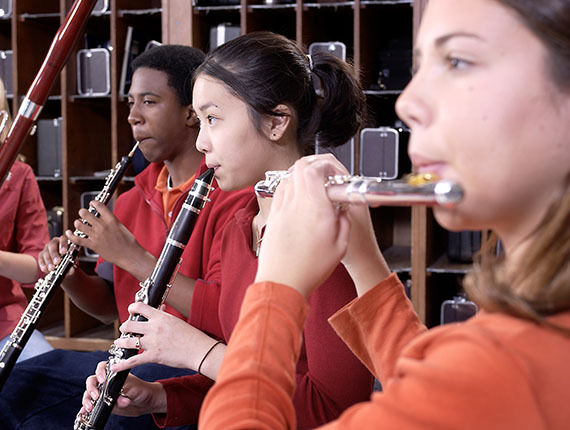 Choose from flute, clarinet, trumpet, saxaphone, violin, snare drum, and many more! During your first 12 months of renting from Music Emporium, you will acrue credit for any rental payments (less taxes and fees) towards the purchase of any new or used instrument in stock. It's better than rent-to-own! Our rental program includes basic service - at no extra cost! Any repairs from normal wear and tear will be made, and under most circumstances we can provide a loaned instrument during the repair process.